The Descendants of Johannes Huskingson, circa 1523. 104. Fanny Susanna Cotton FOX  (George Maples FOX63, George Morris FOX45, Frances MAPLES15, Susannah WILSON8, James WILSON II7, James WILSON I6, Edward WILSON5, Elizabeth COWPER4, Robert COWPER3, Joanna HUSKINGSON2, Johannes1) was born on 29 Mar 1857 in Lincoln Lincolnshire England and died on 21 Aug 1927 in Lincoln Lincolnshire England at age 70. • Birth: at 206 High Street, "St Benedict's", 29 Mar 1857, Lincoln Lincolnshire England. Fanny married Frederick Henry MARFLEET  [MRIN: 32003] on 6 Jun 1787 in St Peter at Arches Lincoln Lincolnshire England. Frederick was born in 1850 in Lincoln Lincolnshire England, was baptised on 10 Aug 1850 in Waddington Lincolnshire England, and died in Jun 1892 in Lincoln Lincolnshire England at age 42. 173 M i. Frederick Cecil MARFLEET  was born circa 1878 in Lincoln Lincolnshire England and died circa 1878 in Lincoln Lincolnshire England. only lived for a few days. + 174 M ii. Charles Sidney MARFLEET  was born on 25 Nov 1880 in Lincoln Lincolnshire England and died after 1927 in England. 175 F iii. Edith Harriet MARFLEET  was born on 8 Apr 1883 in Lincoln Lincolnshire England. Edith married REEVE  [MRIN: 32005] in 1922 in Lincoln Lincolnshire England. REEVE  was born in England and died in England. 176 F iv. Jessie Annie MARFLEET  was born on 30 Dec 1885 in Lincoln Lincolnshire England. Jessie married MERRETT  [MRIN: 32006] before 1924 in England. MERRETT  was born in England and died in England. 177 F v. Mary Ethel MARFLEET  was born on 16 May 1887 in Theddlethorpe Lincolnshire England and died in England. 178 M vi. John Edward MARFLEET  was born on 25 Jul 1889 in Theddlethorpe Lincolnshire England and died in 1917 at age 28. The cause of his death was World War 1. 106. Alice Elizabeth FOX  (George Maples FOX63, George Morris FOX45, Frances MAPLES15, Susannah WILSON8, James WILSON II7, James WILSON I6, Edward WILSON5, Elizabeth COWPER4, Robert COWPER3, Joanna HUSKINGSON2, Johannes1) was born on 13 Mar 1861 in Lincoln Lincolnshire England and died after 1916 in England. Alice married Arthur E HALL  [MRIN: 32002] on 6 Feb 1883 in England. Arthur was born in 1860 in England and died before 1916 in England. 179 M i. Cecil B HALL  was born circa 1884 in England and died in England. 180 F ii. 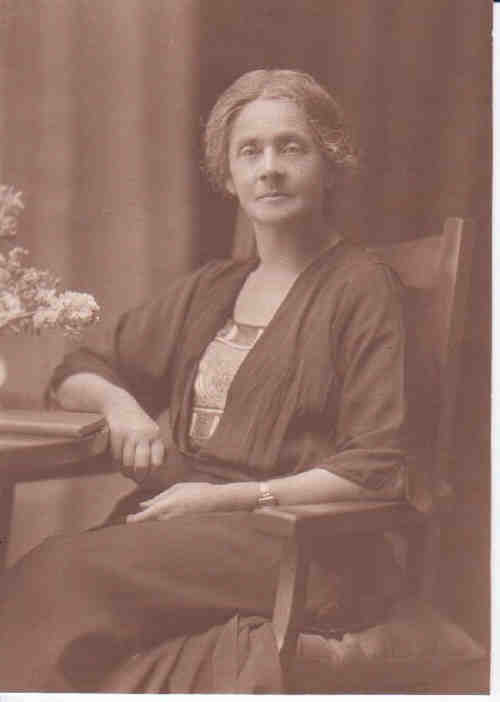 Freda HALL  was born circa 1886 in England and died in England. 108. Rev. Thomas Herbert DARLOW M.A. (Charlotte FOX64, George Morris FOX45, Frances MAPLES15, Susannah WILSON8, James WILSON II7, James WILSON I6, Edward WILSON5, Elizabeth COWPER4, Robert COWPER3, Joanna HUSKINGSON2, Johannes1) was born on 26 Apr 1858 in Ramsey Huntingdonshire England and died on 24 Oct 1927 in Naples Campania Italy at age 69. Thomas married Ellen Araness ARTHUR  [MRIN: 32009] circa 1889 in England. Ellen was born circa 1867 in Halton Lancashire England and died after 1916 in England. 181 F i. Mary DARLOW  was born circa 1894 in Camberwell Surrey England and died in England. 182 M ii. Arthur DARLOW  was born circa 1892 in Middlesex England and died in England. • Occupation: a Cotton Farmer in India. 183 M iii. Thomas Shorrock DARLOW  was born circa 1901 in Pinner Middlesex England and died in England. 109. William Walter DARLOW  (Charlotte FOX64, George Morris FOX45, Frances MAPLES15, Susannah WILSON8, James WILSON II7, James WILSON I6, Edward WILSON5, Elizabeth COWPER4, Robert COWPER3, Joanna HUSKINGSON2, Johannes1) was born on 26 Apr 1858 in Ramsey Huntingdonshire England, died on 16 Mar 1934 in Bedford Bedfordshire England at age 75, and was buried on 19 Mar 1934 in Bedford Bedfordshire England. William married Emilie Louise  [MRIN: 32010] circa 1894 in Bedford Bedfordshire England. Emilie was born circa 1870 in Suffolk England and died after 1934 in Bedford Bedfordshire England. 185 F i. Vida May DARLOW  was born circa 1895 in Bedford Bedfordshire England and died in England. Vida married Gordon WADDINGTON  [MRIN: 32012] in England. Gordon was born in England and died in England. 186 F ii. Nora Louise DARLOW  was born circa 1899 in Bedford Bedfordshire England and died in England. 187 M iii. Herbert Pendrey DARLOW  was born circa 1908 in Bedford Bedfordshire England and died in England. Herbert married Hilary HAILSTONE  [MRIN: 32013] in England. Hilary was born in England and died in England. 110. Charlotte A Emily DARLOW  (Charlotte FOX64, George Morris FOX45, Frances MAPLES15, Susannah WILSON8, James WILSON II7, James WILSON I6, Edward WILSON5, Elizabeth COWPER4, Robert COWPER3, Joanna HUSKINGSON2, Johannes1) was born on 3 Dec 1860 in Ramsey Huntingdonshire England and died after 1911 in England. Charlotte married Neville NEWTON  [MRIN: 32014] in Mar 1882 in England. Neville was born circa 1855 in Ramsey Huntingdonshire England and died in Apr 1911 in England at age 56. + 188 F i. Edith Neville NEWTON  was born on 11 Jul 1884 in Winnipeg Manitoba Canada and died after 1933 in England. 189 F ii. Frances Neville NEWTON  was born in 1888 in Stoke Newington Hertfordshire England and died after 1933 in England. 112. Clara Julia Minnie DARLOW  (Charlotte FOX64, George Morris FOX45, Frances MAPLES15, Susannah WILSON8, James WILSON II7, James WILSON I6, Edward WILSON5, Elizabeth COWPER4, Robert COWPER3, Joanna HUSKINGSON2, Johannes1) was born on 23 Mar 1864 in Ramsey Huntingdonshire England and died after 1916 in England. Clara married Frank RIDGLEY  [MRIN: 32018] in 1894 in England. Frank was born circa 1857 in Huntingdon Huntingdonshire England and died circa 1916 in England at age 59. + 192 M i. Robert Stewart RIDGLEY  was born on 23 Sep 1895 in England and died in England. 193 F ii. Joyce Mary RIDGLEY  was born on 24 Aug 1899 in Huntingdon Huntingdonshire England and died in England. 118. Frederick William FOX  (John FOX68, George Morris FOX45, Frances MAPLES15, Susannah WILSON8, James WILSON II7, James WILSON I6, Edward WILSON5, Elizabeth COWPER4, Robert COWPER3, Joanna HUSKINGSON2, Johannes1) was born on 18 Jan 1861 in Peterborough Northamptonshire England and died in 1914 in Nottinghamshire England at age 53. Frederick married Therese Sophie Elsie LEBREUR  [MRIN: 32024], daughter of Theodore LEBREUR  and Sophie , on 26 May 1891 in St George's Chapel Berlin Berlin Germany. Therese was born in Berlin Berlin Germany and died in England. 194 F i. Elsa Mary FOX  was born on 1 Feb 1894 in Nottingham Nottinghamshire England and died in England. 119. George SALMON  (Lucy FOX72, George Morris FOX45, Frances MAPLES15, Susannah WILSON8, James WILSON II7, James WILSON I6, Edward WILSON5, Elizabeth COWPER4, Robert COWPER3, Joanna HUSKINGSON2, Johannes1) was born circa 1858 in England and died in England. George married UNKNOWN  [MRIN: 32028] in England. UNKNOWN  was born in England and died in England. 195 F i. SALMON  was born in England and died in England. 120. Arthur SALMON  (Lucy FOX72, George Morris FOX45, Frances MAPLES15, Susannah WILSON8, James WILSON II7, James WILSON I6, Edward WILSON5, Elizabeth COWPER4, Robert COWPER3, Joanna HUSKINGSON2, Johannes1) was born circa 1860 in England and died in England. Arthur married UNKNOWN  [MRIN: 32029] in England. UNKNOWN  was born in England and died in England. 196 F i. SALMON  was born in Reading Berkshire England and died in England. 197 M ii. Clifford SALMON  was born in Reading Berkshire England and died 0018-1914 in WW1. 130. Matthew Richard WARNER  (John Fox WARNER78, Elizabeth FOX46, Frances MAPLES15, Susannah WILSON8, James WILSON II7, James WILSON I6, Edward WILSON5, Elizabeth COWPER4, Robert COWPER3, Joanna HUSKINGSON2, Johannes1) was born circa 1858 in Wolverhampton Staffordshire England and died after 1911 in England. Matthew married Anne  [MRIN: 32033] circa 1886 in England. Anne was born circa 1862 in Salisbury Wiltshire England and died after 1911 in England. 198 M i. Charles Matthew WARNER  was born circa 1887 in Warrington Lancashire England and died after 1911 in England. 199 M ii. Harold Lumley WARNER  was born circa 1888 in Warrington Lancashire England and died after 1911 in England. 200 M iii. Arthur Farrington WARNER  was born circa 1894 in Warrington Lancashire England and died after 1911 in England. 201 U iv. WARNER  was born in Wolverhampton Staffordshire England and died after 1911 in England. 202 U v. WARNER  was born in Wolverhampton Staffordshire England and died before 1911 in England. 203 F vi. Evelyth Margaret Lumley WARNER  was born circa 1907 in Wolverhampton Staffordshire England and died after 1911 in England. 133. Alfred Hipango Edwin WARNER  (Charles Edwin WARNER80, Elizabeth FOX46, Frances MAPLES15, Susannah WILSON8, James WILSON II7, James WILSON I6, Edward WILSON5, Elizabeth COWPER4, Robert COWPER3, Joanna HUSKINGSON2, Johannes1) was born on 9 Apr 1855 in Osgathorpe Leicestershire England and died after 1901 in England. Alfred married Kate E PRICE  [MRIN: 32036], daughter of PRICE  and Hannah , before 1891 in England. Kate was born circa 1857 in Wolverhampton Staffordshire England and died after 1901 in England. 204 M i. George Neville WARNER  was born circa 1893 in Wolverhampton Staffordshire England and died after 1911 in England. 205 F ii. Kathleen Eleanor WARNER  was born circa 1895 in Wolverhampton Staffordshire England and died after 1911 in England. 142. Harry Ashton Duff FOX  (Dr. Henry Erasmus FOX M.D.88, Dr. Robert FOX M.D.47, Frances MAPLES15, Susannah WILSON8, James WILSON II7, James WILSON I6, Edward WILSON5, Elizabeth COWPER4, Robert COWPER3, Joanna HUSKINGSON2, Johannes1) was born on 4 Nov 1861 in India and died after 1895 in India. Harry married Kate Adeline WILLIAMS  [MRIN: 32042], daughter of Thomas Bower WILLIAMS  and Unknown, in England. Kate was born in England and died in India. 206 F i. Shielda Kaughan FOX  was born in 1892 in India. 207 M ii. Gerald Stewart Duff FOX  was born in Feb 1894 in India. 208 M iii. FOX  was born in Mar 1895 in India. 146. Helen Jane Ashton FOX  (Dr. Henry Erasmus FOX M.D.88, Dr. Robert FOX M.D.47, Frances MAPLES15, Susannah WILSON8, James WILSON II7, James WILSON I6, Edward WILSON5, Elizabeth COWPER4, Robert COWPER3, Joanna HUSKINGSON2, Johannes1) was born on 25 Jun 1867 in India. Helen married Bertram SERRILL  [MRIN: 32044]. 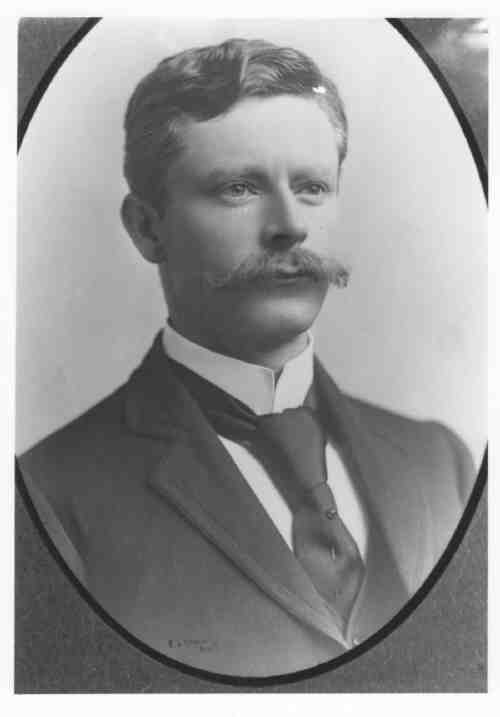 209 U i. SERRILL  was born circa 1894. 149. Cornelia Van Boekel FOX  (Conrad FOX89, Dr. Robert FOX M.D.47, Frances MAPLES15, Susannah WILSON8, James WILSON II7, James WILSON I6, Edward WILSON5, Elizabeth COWPER4, Robert COWPER3, Joanna HUSKINGSON2, Johannes1) was born on 5 Sep 1860 in Hoboken Hudson Co. New Jersey USA and died after 1891 in United States of America. Cornelia married Edward Everett THORPE  [MRIN: 32047], son of Philip THORPE  and Helen , on 5 Feb 1881 in St Baptiste Church New York New York USA. Edward was born on 18 May 1859 in New Brunswick Middlesex Co. New Jersey USA, died on 18 Jun 1891 in Jersey City Hudson Co. New Jersey USA at age 32, and was buried on 21 Jun 1891 in New York Bay Cemetery Jersey City Hudson Co. New Jersey USA. The cause of his death was Typhoid Fever. 151. 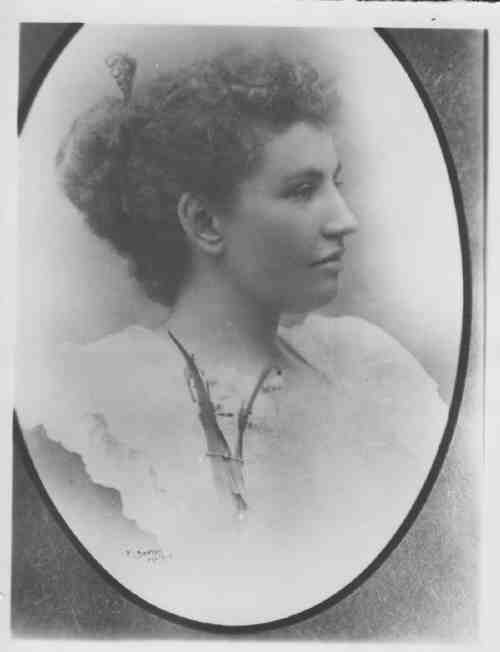 Mary Edith Laura TAYLOR  (Basil Kirke TAYLOR93, Mary Caroline FOX50, Frances MAPLES15, Susannah WILSON8, James WILSON II7, James WILSON I6, Edward WILSON5, Elizabeth COWPER4, Robert COWPER3, Joanna HUSKINGSON2, Johannes1) was born on 1 Dec 1864 in Putiki Wanganui New Zealand, died on 7 Dec 1941 in Wellington Wellington New Zealand at age 77, and was buried in Heads Road Cemetery Wanganui New Zealand. General Notes: Born at the Mission House, Putiki, Wanganui. Baptised by Rev. R TAYLOR in St Paul's, Putiki. Married Alexander Peebles WEBSTER, a Scot, on 23 May 1885. They had 4 daughters and 3 sons. After her husband died in 1918, she lived at several addresses. One was 7 Boundary Rd, Kelburn. A lovable old lady who never said a word against anyone and a devout churchwoman - as befitted her clerical heritage. She died in Wellington in 1941 aged 76. Buried in Heads Rd Cemetery, Wanganui, in Taylor grave. "In Loving Memory of Mary E. L. WEBSTER, eldest daughter of the late Rev.B. K. & E. P. TAYLOR, died 7th December 1941 aged 77 years." Mary married Alexander Peebles WEBSTER  [MRIN: 4773], son of James WEBSTER  and Catherine RAMSAY , on 23 May 1885 in Wanganui New Zealand. Alexander was born on 1 Feb 1859 in Dundee Angus Scotland and died on 9 Feb 1918 in Melbourne VIC Australia at age 59. Attended Christ's College 1872 - 75, and he earned a Junior Somes Scholarship. In 1885 he was Manager of the Bank of Australasia in Feilding. He finished his banking career as Chief Inspector of the Bank of Australasia. He died in 1918 aged 59 in Melbourne, Australia. Probate filed 21 March 1918 in Wellington Ct - Bank Manager. Probate No. 22757 - Wellington Archives. 211 F i. Carola Mary WEBSTER  was born on 18 May 1886 in Wanganui New Zealand and died on 18 Apr 1923 in Melbourne VIC Australia at age 36. 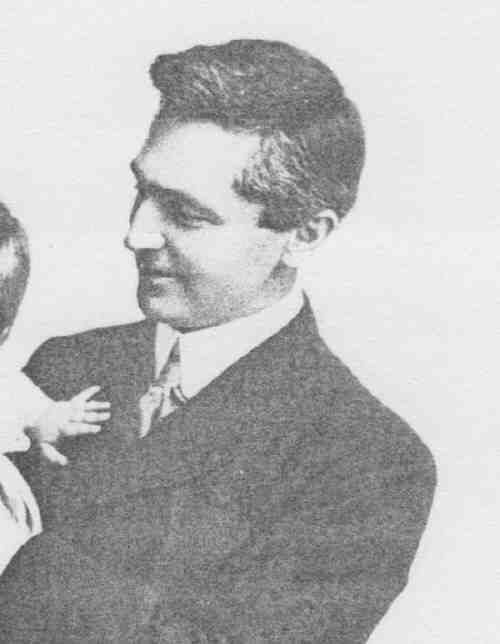 Carola married Leslie Wellington ASHBOLT  [MRIN: 4775] in Jan 1912 in New Zealand. Leslie was born in 1886 in Wellington Wellington New Zealand. 212 F ii. Edith Ramsay WEBSTER  was born on 20 Mar 1888 in Patea Taranaki New Zealand and died on 22 Jan 1972 in Wellington Wellington New Zealand at age 83. + 213 F iii. Irene Deans WEBSTER  was born on 9 Apr 1889 in Patea Taranaki New Zealand and died on 6 Oct 1976 in Wellington Wellington New Zealand at age 87. + 214 M iv. Basil Ramsay WEBSTER  was born on 16 Mar 1894 in Patea Taranaki New Zealand. + 215 M v. Ian Tylee WEBSTER  was born on 12 Jan 1896 in Wanganui New Zealand and died in 1956 in Napier Hawke's Bay New Zealand at age 60. + 216 F vi. Ruhi Freda WEBSTER  was born on 24 Nov 1899 in Palmerston North Manawatu New Zealand and died on 16 Dec 1986 in Wellington Wellington New Zealand at age 87. + 217 M vii. Ronald Hoani Alexander WEBSTER  was born on 10 Mar 1902 in Wellington Wellington New Zealand and died on 28 Aug 1969 in Wellington Wellington New Zealand at age 67. 153. Herbert Richard Stovin TAYLOR  (Basil Kirke TAYLOR93, Mary Caroline FOX50, Frances MAPLES15, Susannah WILSON8, James WILSON II7, James WILSON I6, Edward WILSON5, Elizabeth COWPER4, Robert COWPER3, Joanna HUSKINGSON2, Johannes1) was born on 24 Feb 1868 in Putiki Wanganui N Z, died on 17 Aug 1948 in Wanganui New Zealand at age 80, and was buried in Heads Road Cemetery Wanganui New Zealand. General Notes: Born 1868 in Putiki Mission House. 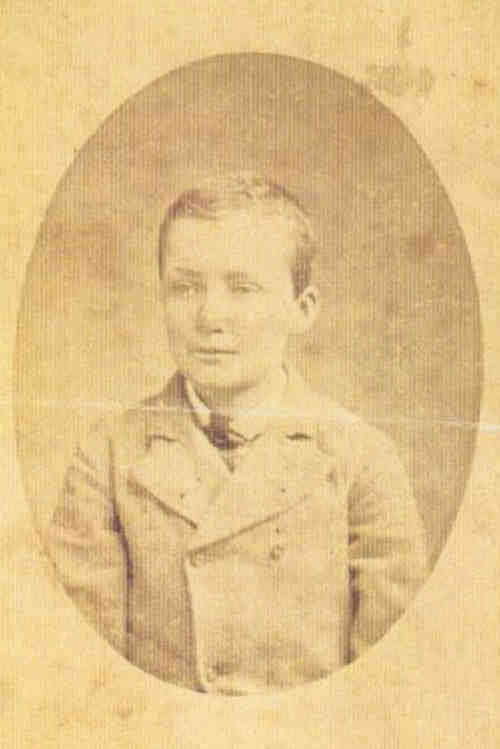 Baptised 29 April 1868 by his father. Lived as a child in "Cossington", 9 Campbell St, Wanganui. Later lived at "Coveney", 88 Heads Road, Wanganui (now behind 168 Heads Rd - back entrance through 3A & 3B Caius Ave). Herbert started work at 16 yrs at Railway workshops as an engineer and draughtsman (1884). Then went to Wellington and studied dentistry with Arthur Hoby. Became a Dentist and had dental rooms in T & G building. Also in Wanganui. Met Cissie (his wife) (Alice Rose Cecilia BAGGE) in Wellington where she was a nursing sister. Herbert was St Johns Sunday School Superintendent (Anglican). Left when asked to leave over difference of opinion over water baptism making a person a Christian. (Believe that's why Winston & Peggy attended the Presbyterian Church). Herbert married Alice Rose Cecilia BAGGE  [MRIN: 203], daughter of John BAGGE  and Elizabeth PUGH , on 15 Nov 1899 in St Stephen's Marton Rangitikei N Z. Alice was born on 15 Nov 1869 in Blenheim Marlborough New Zealand, died on 17 Oct 1951 in New Plymouth Taranaki New Zealand at age 81, and was buried in Heads Road Cemetery Wanganui New Zealand. General Notes: Alice left home in 1889 to train as a nurse at Wellington Hospital. She was living in Marton at the time as her father had retired there in1895. + 218 F i. Marjorie Alice Stovin TAYLOR  was born on 20 Sep 1900 in Wanganui Taranaki New Zealand, died on 15 Feb 1977 in New Plymouth Taranaki New Zealand at age 76, and was buried on 18 Feb 1977 in Awanui Cemetery New Plymouth Taranaki New Zealand. + 219 M ii. Dr. Richard Morris Stovin TAYLOR  was born on 16 Sep 1903 in Wanganui New Zealand, died on 30 Aug 1992 in Auckland Auckland New Zealand at age 88, and was buried in Puhunui Road Crematorium Papatoetoe New Zealand. + 220 M iii. Herbert Winston Stovin TAYLOR  was born on 24 Jul 1907 in "Coveney" Wanganui New Zealand, died on 8 Apr 1993 in Matamata Waikato New Zealand at age 85, and was buried on 12 Apr 1993 in Matamata Cemetery Matamata Waikato New Zealand. 156. Basil Maples TAYLOR  (Basil Kirke TAYLOR93, Mary Caroline FOX50, Frances MAPLES15, Susannah WILSON8, James WILSON II7, James WILSON I6, Edward WILSON5, Elizabeth COWPER4, Robert COWPER3, Joanna HUSKINGSON2, Johannes1) was born on 7 Sep 1876 in Putiki Wanganui New Zealand, died on 20 Jun 1953 in Christchurch Canterbury New Zealand at age 76, and was buried in Woolston Cemetery Christchurch Canterbury New Zealand. General Notes: Attended Wanganui Collegiate School. Also Christ's College. Worked at Putiki from the age of 15 until his marriage in 1904, assisting the Rev AO Williams (missionary), and also as choirmaster and organist. After marriage to Bertha Charlotte Amelia WALL, he conducted a Maori school at Raorikia, previous to which he was similarly engaged at Parapara. Teacher under Govt Native Dept & Wang. Lived at "River Bank' nr Sparrow Cliff, north of Wanganui. Later 12 Helmore St, Wanganui East till 1927.
in NZ of the Scripture Union, a post he held for 16 years. In 1926 Basil was accepted for ordination by Bishop Sadlier of the NelsonDiocese, and appointed to be the vicar of the parish of Suburban North. He took up residence at Wakapuaka, about 6 miles from Nelson along the Blenheim road. Moved to Hinds parish, mid Canterbury, in 1931. In 1932 (Nancy's wedding) they lived at 8 Dyer's Pass Rd. Basil helped as Curate in the Sumner parish, especially Heathcote Valley. Died in 1953 in Christchurch. Basil married Bertha Charlotte Amelia WALL  [MRIN: 4776], daughter of Anthony WALL  and Charlotte Elizabeth STACE , on 7 Jan 1904 in Porirua Wellington New Zealand. Bertha was born on 7 May 1882 in Porirua Wellington New Zealand, died on 3 Jan 1966 in Christchurch Canterbury New Zealand at age 83, and was buried in Woolston Cemetery Christchurch Canterbury New Zealand. 221 F i. Bertha Basilia TAYLOR  was born on 1 May 1905 in Wanganui New Zealand, died on 29 May 1982 in Christchurch Canterbury New Zealand at age 77, and was buried in Woolston Cemetery Christchurch Canterbury New Zealand. Another name for Bertha was Sil, or Bascy or Boo. General Notes: Born in Wanganui. Never married. She was known as 'Sil', 'Bascy' & 'Boo'. Attended Wanganui Girls' College. Also a Training College. Ran a school in Wanganui called 'Cricklewood'. Clunie WILSON b. 1820, attended the school; also Sil's youngest brother, Richard. She also taught in the junior department of Nelson College for Girls. Later in various primary schools in Canterbury, and as Infant Mistress at Linwood School, Ch'ch. Bertha Basilia TAYLOR was a Teacher noted in the NZ Gazette 1940 Vol.1 - Teachers' Register p 550. Available from Auckland Archives. Sil inherited the Monck's Bay home on her mother's death in 1966. Died in 1982 aged 77, in Christchurch, and buried in Woolston Cemetery. + 222 F ii. Nancy Ethelred TAYLOR  was born on 13 Dec 1906. + 223 F iii. Edith Gabriel TAYLOR  was born on 31 Aug 1912 in Wanganui New Zealand and died on 19 Jun 1971 in Christchurch Canterbury New Zealand at age 58. + 224 M iv. Richard Basil TAYLOR  was born on 11 Apr 1920 in Wanganui New Zealand, died on 9 Mar 2000 in Rotorua Waikato New Zealand at age 79, and was buried in Rotorua Waikato New Zealand. 158. Henry Spencer Grey HARPER  (Laura TAYLOR94, Mary Caroline FOX50, Frances MAPLES15, Susannah WILSON8, James WILSON II7, James WILSON I6, Edward WILSON5, Elizabeth COWPER4, Robert COWPER3, Joanna HUSKINGSON2, Johannes1) was born on 2 Aug 1862 in Wanganui New Zealand, died on 18 Aug 1918 in Wanganui New Zealand at age 56, and was buried on 20 Aug 1918 in Aramoho Cemetery Wanganui New Zealand. Another name for Henry was Harry. General Notes: Sponsors at christening - Sir George GREY, Hoani Wiremu HIPANGO, Mary Catherine TAYLOR. Godson of Sir George GREY. Attended Wanganui Collegiate & Christs College. Bank clerk. Probate says Auctioneer. When his mother, Laura, died, Harry took possession of all Richard Taylor material - journals, books, papers, letters, artefacts, shells etc. Some of the artefacts are now in Wanganui Museum as "The Harper Collection". Will filed 26 August 1918 in Wanganui Ct. Probate 94/18 - Wellington Archives. Henry married Helen Spence Bruce MOUAT  [MRIN: 4778], daughter of William Gilbert MOUAT  and Grace BRUCE , on 27 Oct 1887 in Wanganui New Zealand. Helen was born on 27 Mar 1865 in Unst Shetland Scotland and died in 1930 in Wanganui New Zealand at age 65. 225 F i. Laura Helen Bruce HARPER  was born on 17 Feb 1888 in Wellington Wellington New Zealand, died on 26 Sep 1970 in Wellington Wellington New Zealand at age 82, and was buried on 27 Apr 1971 in Aramoho Cemetery Wanganui New Zealand [ashes only]. 226 M ii. Arthur Henry Sedgewick HARPER  was born on 5 Jun 1890 in Wanganui New Zealand and died on 9 Dec 1916 in Armentières Nord-Pas-de-Calais France at age 26. The cause of his death was influenza. General Notes: 2nd Lieutenant, New Zealand Expeditionary Forces. 160. Margaret Eleanor Dawson HARPER  (Laura TAYLOR94, Mary Caroline FOX50, Frances MAPLES15, Susannah WILSON8, James WILSON II7, James WILSON I6, Edward WILSON5, Elizabeth COWPER4, Robert COWPER3, Joanna HUSKINGSON2, Johannes1) was born on 31 Aug 1866 in Wanganui New Zealand, died on 20 Sep 1951 in Christchurch Canterbury New Zealand at age 85, and was buried on 26 Nov 1957 in Aramoho Cemetery Wanganui New Zealand [ashes only]. Margaret married Ernest Albert BARTON  [MRIN: 4781], son of Henry BARTON  and Sarah Elizabeth ANDREWS , on 4 Nov 1887 in Wanganui New Zealand. Ernest was born on 13 May 1863 in Hursley Hampshire England, was baptised on 25 Jun 1863 in Hursley Hampshire England, died on 7 Dec 1956 in Christchurch Canterbury New Zealand at age 93, and was buried on 26 Nov 1957 in Aramoho Cemetery Wanganui New Zealand [ashes only]. General Notes: Born in Hampshire, England. Ernest Albert came to NZ in 1880. Married Margaret Eleanor Dawson HARPER in 1887 in Wanganui. They had 3 boys. They died in Christchurch in 1951 and 1956. They were both cremated in Christchurch, and their ashes buried 26/11/1957 at Aramoho Cemetery, Wanganui. (Block F, Row 1, Plot 113) with their son, Cranleigh. "Ernest Albert BARTON, May 13 1863 - Dec. 7 1956. Margaret Eleanor Dawson BARTON, Aug. 31 1866 - Sept. 20 1951." + 227 M i. Ernest Onslow BARTON  was born on 11 Dec 1888 in Feilding Manawatu New Zealand and died on 10 Oct 1983 in Rangiora Christchurch Canterbury New Zealand at age 94. 228 M ii. Cranleigh Harper BARTON  was born on 7 Sep 1890 in Feilding Manawatu New Zealand, died on 31 Mar 1975 in Christchurch Canterbury New Zealand at age 84, and was buried on 15 May 1975 in Aramoho Cemetery Wanganui New Zealand [ashes only]. General Notes: Attended school at Feilding, Huntley School in Marton, Wellington College & Victoria University, he went on to become a lawyer, artist and Philanthropist. At University he received three Turnbull Scholarships, graduating with a Bachelor of Law degree in 1912. However he showed an early bent for painting both in watercolours and in oils, and in 1913 this interest took him on the first of his several tours to Great Britain and Europe. His works have been exhibited widely in Britain and are also held by museums and libraries in this country. Cranleigh returned to NZ just before the outbreak of WW1 and practised as a solicitor in Wellington until 1918 when he moved to Christchurch. In 1924 he studied law at the Slade School in London, staying there for four years. By 1930 he had returned to Christchurch, and that year he gave up legal work to devote himself to his painting, travels and correspondence. He visited many countries around the world including Italy, Greece, North Africa, France, India, Russia, Persia, mainland China, Samoa & Fiji. Paintings of his were bought by Queen Mary & Dame Nellie Melba. He was also interested in historical buildings and was co-patron of the Wanganui Historical Society. He left a legacy - The Cranleigh Barton Drawing Award - to recognise excellence in drawing and to raise the status of this skill in visual arts, education and practice, $2,000 is to be awarded. He is very community minded - he donated a magnificent stained glass window and weather vane to the All Saints Church in Sumner, a drinking fountain near the Sumner beach, and an illuminated clock which is mounted above the Sumner Surf Life Saving Club pavilion. He also gave a generous donation towards the cost of a jet rescue boat (named after him) for the Sumner Lifeboat Institution. He kept a diary every day since 1906, and his journals now make a vast collection. He died in Christchurch aged 84. He was cremated and his ashes were buried in Aramoho Cemetery, Wanganui (with his parents) on 15 May 1975. "Cranleigh Harper BARTON, B.E.M., 7.9.1890 - 31.3.1975"
229 M iii. Maurice Clinton BARTON  was born on 28 Jul 1894 in Feilding Manawatu New Zealand, died on 6 Sep 1930 in Wanganui New Zealand at age 36, and was buried on 8 Sep 1930 in Aramoho Cemetery Wanganui New Zealand. BARTON Maurice Clifton - 36 yrs, Solicitor, buried 8 September 1930. (Block F, Row 1, Plots 115-117). 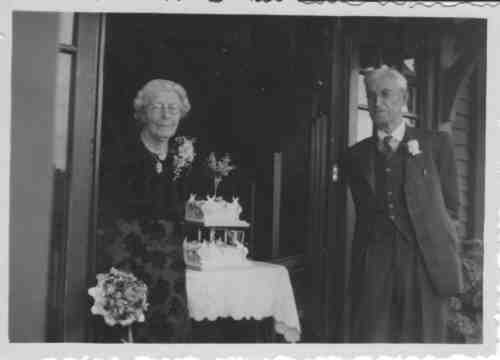 Maurice married Sybil Stratton BATES  [MRIN: 4783] in 1925 in New Zealand. Sybil was born in 1901 in Wanganui New Zealand, died on 30 Apr 1991 in Wanganui New Zealand at age 90, and was buried in Aramoho Cemetery Wanganui New Zealand. 161. Thomas HARPER  (Laura TAYLOR94, Mary Caroline FOX50, Frances MAPLES15, Susannah WILSON8, James WILSON II7, James WILSON I6, Edward WILSON5, Elizabeth COWPER4, Robert COWPER3, Joanna HUSKINGSON2, Johannes1) was born on 1 Jul 1868 in Wanganui New Zealand, died on 12 Feb 1930 in Waipukurau Hawke's Bay New Zealand at age 61, and was buried on 14 Feb 1930 in Aramoho Cemetery Wanganui New Zealand. 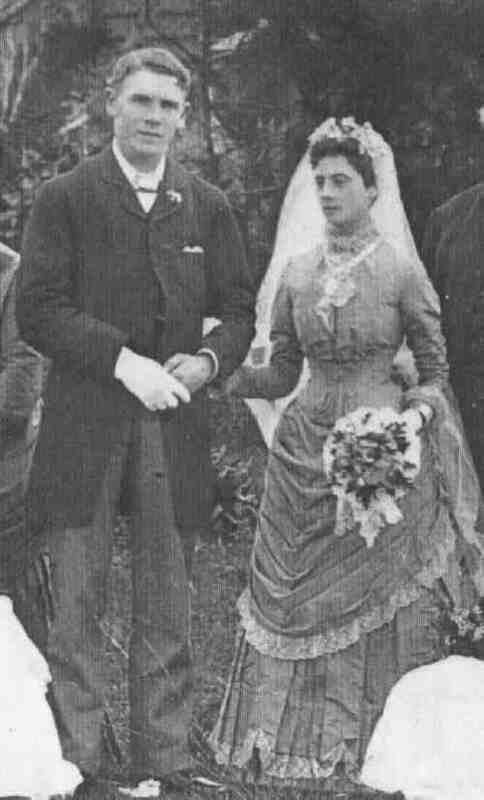 Thomas married Emma Ida Elizabeth YOUNG  [MRIN: 4784] on 8 Mar 1892 in New Zealand. Emma was born on 28 Mar 1874, died on 14 Feb 1943 in Palmerston North Manawatu New Zealand at age 68, and was buried on 16 Feb 1943 in Aramoho Cemetery Wanganui New Zealand. 230 M i. Thomas Henry Roy HARPER  was born on 27 May 1893 in Wanganui New Zealand, died on 1 Aug 1916 in Wanganui New Zealand at age 23, and was buried on 3 Aug 1916 in Aramoho Cemetery Wanganui New Zealand. The cause of his death was accidentally by gun-shot. General Notes: Accidently killed by gunshot. Probate filed 16 Nov. 1916 in Wellington Ct. Farm Manager of Parehauhau. Probate No. 19796 - Wellington Archives. + 231 M ii. Horace Emslie Seymour HARPER  was born on 16 Oct 1894 in Wanganui New Zealand, died in Feb 1930 in Waipukurau Hawke's Bay New Zealand at age 35, and was buried on 15 Feb 1930 in Aramoho Cemetery Wanganui New Zealand. + 232 F iii. Dorothy Laura Margaret HARPER  was born on 7 Oct 1896 in Wanganui New Zealand, died on 22 Nov 1964 in Wairarapa New Zealand at age 68, and was buried on 24 Nov 1964 in Waipukurau Cemetery Waipukurau Hawke's Bay New Zealand. + 233 M iv. Robert Taylor Baden-Powell HARPER  was born on 13 May 1900 in Wanganui New Zealand, died in 1957 in Palmerston North Manawatu New Zealand at age 57, and was buried on 18 Jul 1957 in Aramoho Cemetery Wanganui New Zealand. 164. Capt. John Spencer Selwyn MEDLEY  (Mary Catherine TAYLOR95, Mary Caroline FOX50, Frances MAPLES15, Susannah WILSON8, James WILSON II7, James WILSON I6, Edward WILSON5, Elizabeth COWPER4, Robert COWPER3, Joanna HUSKINGSON2, Johannes1) was born on 8 Oct 1867 in Winchester Hampshire England, was baptised in 1868 in Kings Worthy Church Winchester Hampshire England, died on 23 Jul 1937 in New Plymouth Taranaki New Zealand at age 69, and was buried on 24 Jul 1937 in Te Henui Cemetery New Plymouth Taranaki New Zealand. General Notes: Baptised in 1868 at Kingsworthy Church, Winchester, Hampshire by Rev. R TAYLOR with River Jordan water. Married Ruth Mabel WEBSTER in 1908 in NZ, and had 3 children. They lived in New Plymouth, Taranaki. Died in1937 after slipping and breaking his thigh. He is mentioned in NZ Govt Gazette 1911 pages 2800 & 2258. Probate No. 5258 - Wellington Archives. In 1900 Medley settled permanently at New Plymouth and entered business there as a Land Agent until 1912; then he formed partnership with [the late] C. T. Rundle [d bef1936], under firm name Medley and Rundle; Mr. Rundle retired in 1927 and Mr. Medley took over his interest in the firm. 1902 Medley was appointed Deputy-Official Assignee in Bankruptcy for North Taranaki (until his death) and Registrar of Births, Deaths and Marriages until 1935. 06 May 1902 Personal Notes. Mr J. S. S. Medley will succeed Mr E. Gerard as Deputy Official Assignee for this district. Taranaki Herald, Vol. L, Issue 11959, Pg 3. Compiler: Copy. NLNZ. Official Assignee. The North Taranaki Bankruptcy Department is located in the office of Messrs Medley and Rundle, in Devon Street, New Plymouth.  Mr. J. S. S. Medley has held the position of Deputy Official Assignee since the year 1902. Page 66. Mr. John Spencer Selwyn Medley, Deputy Official Assignee in Bankruptcy for North Taranaki, was born in Winchester, England, in 1868 [sic: 1867]. He arrived in Wellington 1889, and was for some years farming in the Wanganui district before settling in New Plymouth in 1900. The Cyclopedia of New Zealand, Taranaki, Hawkes Bay and Wellington Provincial Districts. 1904 New Plymouth City Councillor. Twice Member of New Plymouth Borough Council. 1907 Established his Public Accountant business at Egmont Street, New Plymouth. 1908 After marrying Ruth Mabel (May) Webster, they built their home at 23 Wallace Place. Their son Jack was told it was his house, built for him when he was born. 06 Oct 1908 Personal. Mr J. S. S. Medley has been appointed a Vaccination Inspector for the District of New Plymouth. Taranaki Herald, Issue 13770, pg 4. Compiler: Copy. NLNZ. 1911 Medley mentioned in NZ Govt. Gazette 1911 pages 2800 and 2258. 1936 Deputy Official Assignee and Public Accountant, est. 1907. Egmont Street, New Plymouth. Who's Who NZ 1936? 1936 Clubs: Taranaki, New Plymouth Bowling, New Plymouth Chess, and Masonic Society. Recreation: Bowls and gardening. Creed: Anglican. Residence: Wallace Street [sic: Place]. NZWW1936? Mr. Selwyn Medley had a wide range of interests, and business interests. Medley was closely associated with the development of the petroleum industry before the Great War, and again prior to his death. He was interested in the Ngamotu Seaside Resorts Company, which was responsible for popularizing Ngamotu Beach. Add: Obit. An all round sportsman, he was an athlete, football player, cricketer, golfer and bowler. In his younger days, in Wellington, he took a prominent part in athletic sports of various kinds. He was a member of the Wellington Athletic Football Club and represented the province at Rugby. He was also a boxer, and an active member of the Star Boating Club.In New Plymouth, he was a keen golfer, as first a member of the old Witiora club, then of the Ngamotu club. Bowls was another sport he followed. He was a member of the New Plymouth Club when it had its green in upper Brougham Street. On the club's removal to the Courtenay Street site he joined the West End Club, but later again he became a member of the New Plymouth Club. He was also a well-known chess player. Add: Obit. Medley was a member of the Masonic Lodge for many years, and went through all the chairs to become a Past Master in the 1920s. He was a prominent member of the New Plymouth Gentlemen's Club. Add: Obit. Daughter, Jean Mary Medley Phillips: "Dad trained at Edinburgh College, but he left. He lived in Wellington and trained as a bush man for a time, he was a big, large, strong man and often went out bush on his own. He was an entrepreneur with his fingers in all sorts of pies. He was before his time and the first of his kind in many of his endeavours, being interested in perpetual forests and petroleum and other things. He was a great speculator buying and selling land, and the family had a cottage on Ngamotu Beach. In those days they had flat bottom boats and in summer, Ngamotu Beach was always full of people. He was 15 stone, always wore tweeds, a cap and had a pipe, and this one day he brought a boat. Jack jumped out of the boat and tried to hold it while Dad was left in it sinking in the water with everyone on the beach looking on and laughing. He got out of the boat, pulled his cap over his head, and walked straight back up the beach not looking right or left. There was a write-up in the paper about it. During WWI he carried cans of petrol and buried them out the back of the garden, but he hurt his back doing this. He was the Head of Company of the government births, deaths and marriages business that he built up, President of Pukekura Park, the Boys and Girls High School and the Athletic Club. The caricature in his office said "I stand for a progressive corporation." He had a terrific, odd sense of humour. He used to say "I'll say Grace, for God's sake let's start!" Aunt Adela lived in Upland Road, and as Dad had trained at Cambridge [he was born in Winchester and Adela at Auckland] he used to say to her 'You're just a colonial!'." JMMP Interview 23 Nov 2007. The family residence they built was at 23 Wallace Place, New Plymouth, which after May's death was sold, and became the New Plymouth Bridge Club. d 23 Jul 1937 (after breaking his right thigh the Wednesday prior, as a result of slipping when entering his motor-car) New Plymouth Hospital, Taranaki, New Zealand. John married Ruth Mabel WEBSTER  [MRIN: 4787], daughter of Frederick Lewis WEBSTER  and Mary Elizabeth McKELLAR , on 22 Jan 1908 in St Mary's New Plymouth Taranaki New Zealand. Ruth was born on 5 Dec 1877 in New Plymouth Taranaki New Zealand, was baptised in Jan 1878 in St Mary's New Plymouth Taranaki New Zealand, died on 30 Jun 1962 in New Plymouth Taranaki New Zealand at age 84, and was buried on 4 Jul 1962 in Te Henui Cemetery New Plymouth Taranaki New Zealand. Another name for Ruth was May. After her husband died in 1937 May lived at their Wallace Place home until her health declined in the last years of her life. She stayed for a time with her son Jack, at 250 Courtenay Street, and went into a residence in the last year of her life.Residence: 23 Wallace Place, New Plymouth (after her death, the New Plymouth Bridge Club). + 234 M i. John Selwyn MEDLEY  was born on 7 Dec 1908 in New Plymouth Taranaki New Zealand, was baptised on 20 Jan 1909 in St Mary's New Plymouth Taranaki New Zealand, died on 27 Jul 1988 in New Plymouth Taranaki New Zealand at age 79, and was buried on 29 Jul 1988 in New Plymouth Crematorium Taranaki New Zealand. 235 F ii. Linda Maude MEDLEY  was born on 30 Aug 1911 in New Plymouth Taranaki New Zealand, was baptised on 4 Oct 1911 in St Mary's New Plymouth Taranaki New Zealand, died on 28 Aug 1992 in Rotarua Bay of Plenty New Zealand at age 80, and was buried on 31 Aug 1992 in Rotarua Bay of Plenty New Zealand. • Death: at Glenbrae House, 28 Aug 1992, Rotarua Bay of Plenty New Zealand. Linda married Jack CLIFF  [MRIN: 4789] on 9 Apr 1936 in New Plymouth Taranaki New Zealand. Jack was born on 4 Aug 1898 in New Zealand, died on 8 Jun 1964 in Palmerston North Manawatu New Zealand at age 65, and was buried on 10 Jun 1964 in Kelvin Grove Crematorium Palmerston North Manawatu New Zealand. • Marriage: at the Home of the Bride, 23 Wallace Place, 9 Apr 1936, New Plymouth Taranaki New Zealand. • Occupation: the Manager of the Ford Garage, Palmerston North Manawatu New Zealand. + 236 F iii. Jean Mary MEDLEY  was born on 16 Nov 1914 in New Plymouth Taranaki New Zealand, was baptised on 20 Jan 1915 in St Mary's New Plymouth Taranaki New Zealand, died on 28 May 2011 in Rotarua Bay of Plenty New Zealand at age 96, and was buried on 1 Jun 2011 in Rotarua Bay of Plenty New Zealand. 166. Frances Maria Duffus TAYLOR  (Robert Cecil TAYLOR96, Mary Caroline FOX50, Frances MAPLES15, Susannah WILSON8, James WILSON II7, James WILSON I6, Edward WILSON5, Elizabeth COWPER4, Robert COWPER3, Joanna HUSKINGSON2, Johannes1) was born on 10 Sep 1867 in Putiki Wanganui New Zealand, died on 24 Apr 1954 in Parnell Auckland New Zealand at age 86, and was buried on 26 Apr 1954 in Purewa Cemetery Auckland New Zealand. This following reference I found in the Anglican Clergy Directory - refers to Frances Maria Duffus Taylor as eldest twin daughter of Robert Cecil Taylor. Frances married Edgar James McFARLAND  [MRIN: 4790], son of Robert James McFARLAND  and Unknown, on 19 Jan 1888 in Auckland Auckland New Zealand. Edgar was born on 2 Aug 1857 in Londonderry Co. Derry Ireland, died on 28 Dec 1944 in Auckland Auckland New Zealand at age 87, and was buried on 30 Dec 1944 in Purewa Cemetery Auckland New Zealand. 237 M i. Kenneth James McFARLAND  was born on 5 Nov 1890 in Auckland Auckland New Zealand, died on 5 Nov 1964 in Auckland Auckland New Zealand at age 74, and was buried on 6 Nov 1964 in Purewa Cemetery Auckland New Zealand. General Notes: Was a Minister. His Aunt Edith TAYLOR went to Stratford to housekeep for him. Noted as a Minister in NZ Gazette 1922 p.188. Died 1964 aged 74. Had resided at Kingseat Hospital, Karaka, Papakura, Auckland. Auckland Archives. Buried & Cremated in Purewa Cemetery 5/6 Nov. 1964. + 238 M ii. Robert Duffus McFARLAND  was born on 27 Feb 1893 in Auckland Auckland New Zealand and died in Jul 1945 in Hamilton Waikato New Zealand at age 52. 239 F iii. Mary McFARLAND  was born on 24 Dec 1894 in Auckland Auckland New Zealand, died on 9 Sep 1986 in Auckland Auckland New Zealand at age 91, and was buried on 12 Sep 1986 in Purewa Cemetery Auckland New Zealand. 240 M iv. Alan Edgar McFARLAND  was born on 16 Mar 1897 in Auckland Auckland New Zealand, died on 21 Apr 1902 in TeAroa Waikato New Zealand at age 5, and was buried in TeAroa Cemetery Waikato New Zealand.